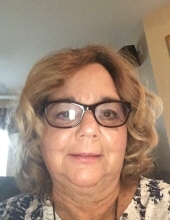 Diane J. Jinga, age 60 of Naperville, passed away peacefully, Thursday, January 24, 2019 at her home. She was born September 27, 1958 in Chicago to her loving parents, Marilyn and the late Joseph Schweiger. Beloved wife of John Carl. Dear niece of Nancy Soltess and Rose Shin. Lifelong friends: Cathy B., Cathie E. and Paula G.
She will be remembered by her extended family of cousins, nephews, nieces who she loved dearly. Diane was raised in Cicero, with parents Marilyn and Joe Schweiger. She embraced life to the fullest, despite her health challenges. Her favorite childhood memories were The Grand Prize game on Bozo Circus, taking music lessons, science projects, and high school parties. She spent time promoting organ donation and was Poster Girl for the Kidney Foundation. Diane received her BS in Medical Technology at UIC. She enjoyed her career in the Medical Laboratory. Promoted legislation in Washington D.C., that is still in effect today. Diane loved being a Wife and Mother. Married John Jinga November 7, 1992, raised their son, Stephen, in Naperville. President of Market Day, teaching CCD classes, PTA and Stephen’s activities. She returned to school to study Medical Records and Medical Coding. She spent the last eight years working at UIC Hospital as a Medical Insurance Specialist. Preceded before her is her father Joe Schweiger, Uncles Edward Soltess and Frank Kuska, cousin Robin Kuska, Grandparents. Father-in–law Aron Jinga and her friend Debbie Celig. In lieu of flowers, donations to St. Raphael Church. Visitation: Sunday, January 27th 3:00-8:00 PM at Friedrich-Jones Funeral Home & Cremation Services, 44 S. Mill St., Naperville, IL 60540. Mass of Christian Burial: Monday, January 28th 10:30 AM at St. Raphael Church, 1215 Modaff Rd., Naperville, IL 60540. To send flowers or a remembrance gift to the family of Diane J. Jinga, please visit our Tribute Store. "Email Address" would like to share the life celebration of Diane J. Jinga. Click on the "link" to go to share a favorite memory or leave a condolence message for the family.